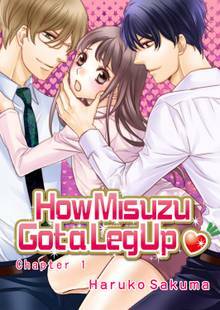 [Free Books] How Misuzu Got a Leg Up｜MANGA.CLUB｜Read Free Official Manga Online! I wish more chapters were free. I don't think I would enjoy this.. but I wanted to read more because of the blackhaired character that pops up at the end of chapter 1. Why did the girl yield so quickly. He's such a jerk. Not a fan. This is one of tose manga that just leaves me sitting there thinking ...seriously? The main female character gives in entirely too easily and it irritates me that there's the mouth says no, body says yes mentality. The main character is a little weak will and plot line can be predictable. A good try nonetheless! The art is nice but I'm lacking the motivation to really feel invested in the female protagonist she doesn't have much of a personality.